Microsoft and Verizon Media announced the death, figuratively, of Yahoo search ads Thursday, with an updated search advertising partnership. The deal -- announced at the Bing Ads Next event in Redmond, Washington -- gives marketing one global platform to create search advertising campaigns, reaching consumers across the Bing, Yahoo, and AOL networks. All advertising will be exclusively served by Bing Ads. The goal is to make it easier for marketers to manage search advertising campaigns. 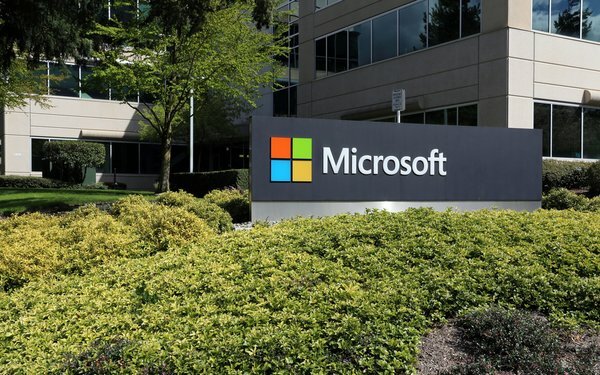 David Pann, GM of global head of advertising at Bing Ads, Microsoft, said during the Bing Ads Next event that Microsoft will continue to make investments to ensure growth, such as partnerships with Verizon Media. “We are bringing all ads under the Bing umbrella,” he said. The deal also affects native advertising, as Microsoft introduces new ad placements on MSN. The Oath Ad platforms, previously called Gemini, will have exclusive third-party access to new native ad inventory on MSN. While the incremental click share increase to Bing will be relatively small, about 2% net increase, this is a tremendous move for the industry," wrote Matt Mierzejewski, senior vice president of search capability lead at Merkle, in an email to Search Marketing Daily. "Advertisers, agencies, platforms and customers will all benefit from higher quality advertisements, spurred by economies of scale and focus. Mierzejewski explained that the move takes some disparate inventory and combines it. “In my opinion, Microsoft Bing should make more partnership plays, such as Google's bid to pay Apple Safari a reported $12 billion to remain its default search engine," Mierzejewski wrote. Merkle estimates Google will take a hit to its revenue and volume from this change. Yahoo has been running Google Shopping Ads since early 2016 and likely generates between 2% and 3% of Shopping ad clicks for Google. Shopping ads now produce nearly two-thirds of retailers’ Google search ad clicks. Yahoo’s Gemini search platform produces between 1% and 2% of U.S. search ad clicks, so Merkle estimates Microsoft will gain back shopping ad traffic that Google has been serving on Yahoo since 2016. Yahoo launched Gemini because Bing did not meet Yahoo’s revenue per search expectations. In just the last year and a half, Merkle has seen a major surge in volume for mobile Bing Product Ads. The biggest challenge Microsoft faces is gaining mobile users. Google is the default search provider for the two major mobile platforms. Just 22% of Bing search came from mobile devices in the fourth quarter of 2018, compared with 61% from Google. In the first phase that begins March 15, the Oath Ad Platforms search traffic will gradually migrate to search campaigns on Bing Ads. The migration is expected to start on March 15. Microsoft is suggesting marketers replicate their Oath Ad Platforms search budget on Bing Ads. Then, add an extra 10% budget cushion. From March 15 through March 31, 2019, traffic will continue to serve ads on both platforms. Bing suggests keeping campaigns running on both Oath Ad Platforms and Bing Ads during the transition time to avoid any traffic loss. After March 31, the Oath Ad Platforms paid search traffic will stop completely and 100% of the Yahoo Search Network traffic will be served by Bing Ads.